Dear customers! We are pleased to offer you a cosmetic products manufactured in Spain by famous brands: Kueshi, Naobay, Babaria, Deliplus, Sisbela, Beauté Mediterranea, Atlantia, Herbal Bionature and more. Kueshi presents itself as a brand that has a total commitment to product quality at every step of the production. Therefore, the continued investment in research and investigation keeps the brand at the forefront of developing new innovative products with high quality and visible results. 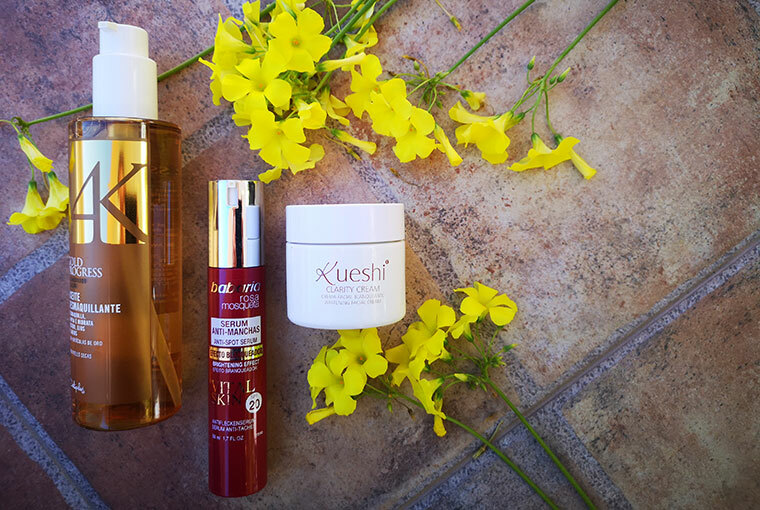 The formulation of Kueshi‘s products combine high quality active ingredients and natural products for their effectiveness, smoothness and texture providing optimal results to the skin. Furthermore, the products contain no parabens, are not tested on animals and the brand uses skin tolerant products. Great value beauty products and premium skincare. Some of their key ingredients are: rosehip oil, argan oil, aloe, micronized pearl powder, hyaluronic acid, caviar extract, etc. Babaria cosmetic products are very famous and popular in the world. Effective, caring and friendly prices are typical for these Spanish products. Babaria produces many types of skin & body care products including ingredients such as Aloe Vera, Rose Hip Oil, Sweet Almond Oil and Olive Oil. Babaria’s Quality Policy concentrates on four areas: quality, occupational health & safety, the environment and product safety, and puts a complete veto on animal testing. Although they do conduct tests to ensure products are harmless, these are conducted on human volunteers who are fully informed about the process they will be submitted to and are at all times supervised by a medical specialist. The Babaria Laboratories have been awarded the certificate of good manufacturing practices for cosmetics (GMP), one of the first laboratories in Spain to achieve this certification. They work hard to guarantee that the cosmetics they manufacture are suitable for their anticipated use, and to ensure that consumers are not exposed to risks arising from defects in their safety, quality or effectiveness. Deliplus is a Spanish cosmetic brand that offers a wide range of high-quality skincare, bodycare & haircare products. All Deliplus products are notable for their excellent quality, contemporary and active formulas and friendly ingredients.